The latest concoction from DAVIDsTEA has got to be the ultimate in the fusion of Chinese and Western drink culture. Coffee Pu’erh combines the traditional taste of Chinese pu’erh tea with the signature drink of the west by the addition of coffee beans. I had a sniff of it in store and the notes of coffee and caramel intrigued me. The description of chocolate added to my attraction. As you can see there are actual coffee beans mixed in. As they are not ground up, I’m not sure how much of a coffee aroma will actually “leak” out. It might also have been interesting for them to tell us what kind of beans they are. 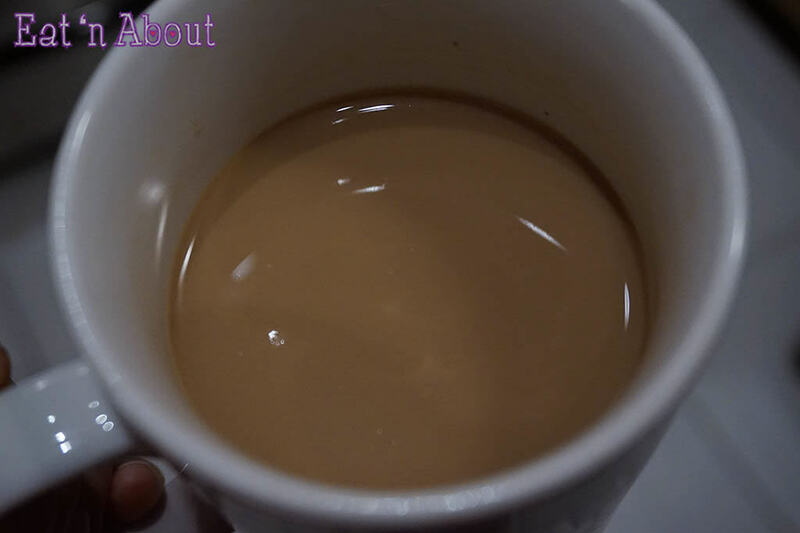 As with most “black” tea blends, I much prefer then in latte form than just plain tea form. Remember to use more leaves than you would normally for plain tea. You can always add more milk later if it’s too strong. So did I like it? I honestly can’t say I did. 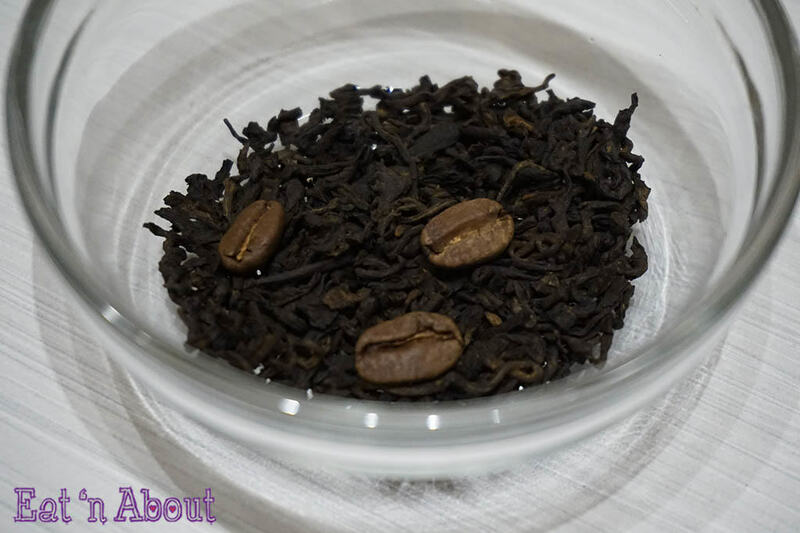 The taste of pu’erh was actually VERY prominent and I did not enjoy the combination of pu’erh with coffee. Call me a traditionalist, but pu’erh tea is too familiar to me and I don’t think it should be mixed with anything. Hi Susan! Thanks for visiting! I don’t actually work for or at DavidsTea so I won’t be able to answer your question…perhaps you could visit your local store or email them for the answer?